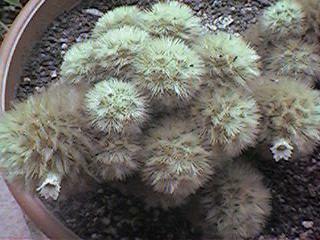 This is mammillaria carmenae. 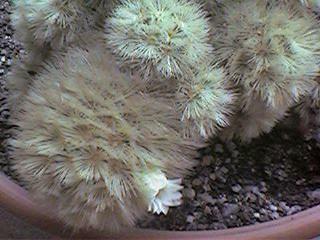 First time flowered in March 2000. Waited for 5 years for this! Page created: March 31, 2000. Copyright © 2000 Ching Yen Choon all rights reserved.